We are dedicated to providing owners with trainers committed to a positive, scientific approach to training dogs. Through clicker training, you will learn how to communicate with your dog to teach them how to use their brain for the behaviors you want, instead of problem behaviors. This force-free method creates dogs that love to learn, while simultaneously accelerating learning and creating behaviors the dog will remember for a long time. 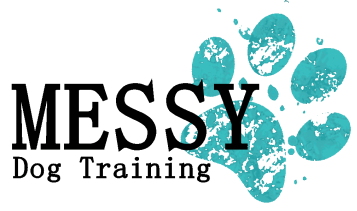 MESSY Dog Training is moving to Cedar Falls/Waterloo, IA in June of 2019! Check out this blog post for more information. This NEW course will help you master what makes a good reward, how to best utilize rewards, as well as a FREE PDF worksheet to help you choose the rewards that best work for your individual dog. Hit the Register button at the top of the website or the Join Effective Reinforcement button below to get started.